Together, we are building the infrastructure to engage thousands of people in a campaign to stop $2 billion of prison construction, and re-direct those funds into creating good jobs for people in low-income, high-crime neighborhoods. 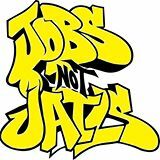 June 27th “Jobs Not Jails” Direct Action Training! Are we for Mass Incarceration? Or are we for Job Creation? During the June 27th training, we focused on what we, as a community, must do in order to advance racial and economic justice. We rely on volunteers at these events to create a network of people who are fighting to end mass incarceration and ensure living wage jobs for all people. During this action, we discussed the ways in which we can put “Jobs NOT Jails” in front of every Massachusetts resident and force them to make a choice between mass incarceration and job creation. Please Join us during this Summer of Solidarity, where we are working to create powerful actions in small teams in order to support people who are suffering in the current criminal justice system.